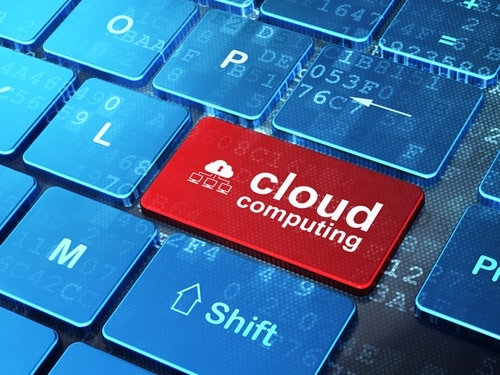 Cloud computing continues to gain prominence and significance in virtually every sector. By embracing cloud integration, firms can gain a wide range of advantages, from cost savings to improved performance and beyond. The U.S. government, far from overlooking this trend, is eagerly embracing cloud solutions in many areas. However, despite this general attitude, many federal agencies have yet to make significant progress toward achieving cloud integration. Writing for Washington Technology, David Blankenhorn recently asserted that there are several key hurdles agencies face as they move toward greater cloud computing utilization. Fortunately, each of these obstacles can be overcome, he argued. One of the biggest obstacles preventing federal agencies from utilizing cloud computing solutions is security. This is not surprising – after all, security worries have long been seen as the single greatest factor preventing companies around the world from embracing the cloud more eagerly and quickly. Firms of all sizes and industries have felt varying degrees of discomfort with the notion of putting their sensitive data and other corporate assets onto offsite cloud servers. Yet most now realize that these fears were overblown. In fact, most industry experts now believe that cloud solutions are actually more secure than legacy computing systems. However, to see these benefits, firms need to follow best practices and, in certain cases, invest in additional security precautions to protect their data. Such is the case with federal agencies, according to Blankenhorn. Specifically, he noted that departments can largely follow the "contractor owned, government operated" or "government owned, contractor operated" models typical of legacy computing solutions. While obviously the technologies differ, there are similarities in terms of allocating and sharing responsibilities. By learning from these past successful models, agencies can effectively leverage cloud computing without putting sensitive government data at risk of loss or exposure. Another key factor holding back agency cloud integration, Blankenhorn explained, is procurement. This is due to the fact that cloud computing is a service, and therefore requires a different approach. "A traditional firm fixed price (FFP) approach simply won't work for purchasing cloud services, as they are nothing like traditional hardware and software," Blankenhorn wrote. "Cloud computing isn't an asset, nor is it the same as consulting services that have historically been purchased through FFP contracts." Instead of trying to bend these earlier strategies, agencies should consider annuity-based procurement models, the writer asserted. Doing so will simplify the process, making it easier for departments to move toward these solutions. Another key, tricky issue concerning procurement is the usage limit. "The on-demand, self-service nature of the cloud allows users to spin up resources whenever and wherever they need them," the expert noted. "This can be tricky when those who are actually consuming the services are unaware of contract ceiling limits." To avoid problems in this area, agencies must take steps to ensure that there are controls in place. Agency employees, and particularly leaders, should be well aware of what cloud services are available and to what extent. Industry noise is one final cloud integration obstacle for government agencies. Blankenhorn explained that the extreme rise in popularity of cloud solutions has created a great deal of confusion as to what, precisely, qualifies as a cloud service. In some cases, services that appear to offer the flexible benefits of the cloud are actually nothing more than conventional enterprise licenses. It can be difficult for agency leaders to make this determination. The writer maintained that despite this confusion, it is still possible for decision-makers to cut through the industry noise and realize the true nature of the services under consideration. To further improve such efforts, agency leaders should be willing to seek out the assistance of third-party consultants that can better guide their departments through every stage of the cloud integration process.